Creating forms with Paperform is easy like writing a doc. Type styled text, upload pictures, embed video, and brand your form with media, colors and fonts. 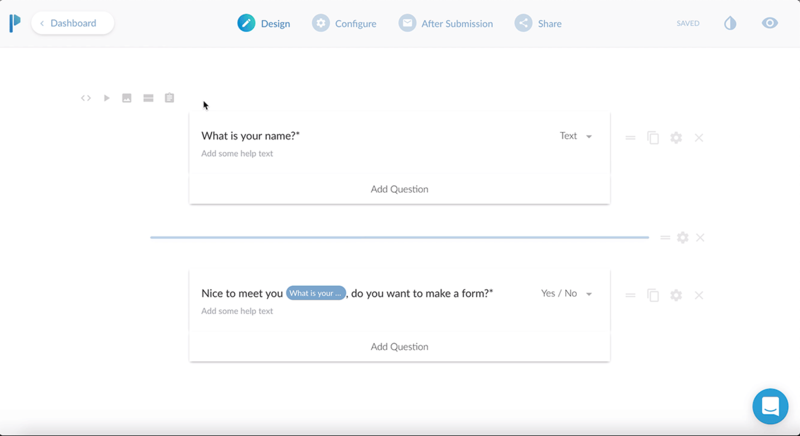 Creating web forms with Paperform's unique form editor is just like writing a doc. Take payments, donations and subscriptions in minutes with Paperform. Over $6,500,000 in sales processed with Stripe, Square, PayPal and Braintree. Continue the conversation after the form is submitted with personalized emails and success pages. Connect to popular apps with our Direct Integrations, or use Zapier and Integromat to can integrate with over 1000 other apps. Type styled text, insert images, embed video, and brand your form with your media, colors and fonts. Tailor the form to you. Show and hide questions, pages and sections of content to craft a personal narrative for your audience. Get started fast with one of our hundreds of designer templates. More than $8,000,000 in payments processed with Stripe, PayPal, Braintree and Square.